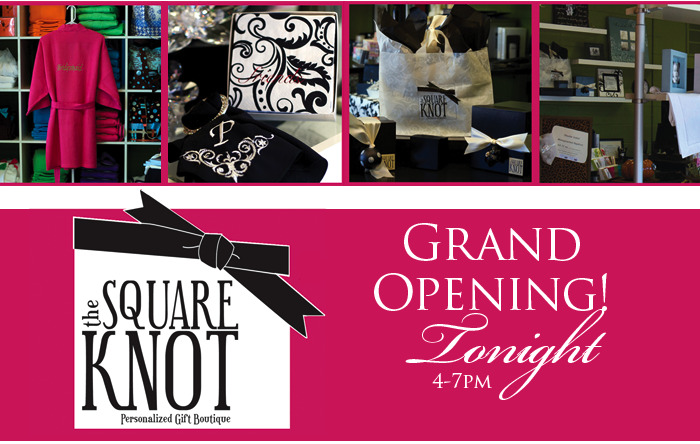 The Grand Opening of The Square Knot, a personalized gift boutique, in Oklahoma City is tonight from 4-7 p.m. You’ll find some of the most unique gifts for your wedding party, special guests, shower hostesses and so much more. And even if you’re not planning to tie the knot, The Square Knot has gifts for your sorority sisters, friends, home and even baby! Check out one of the coolest personalized gift boutiques in town – The Square Knot at 217 W. Britton Road.